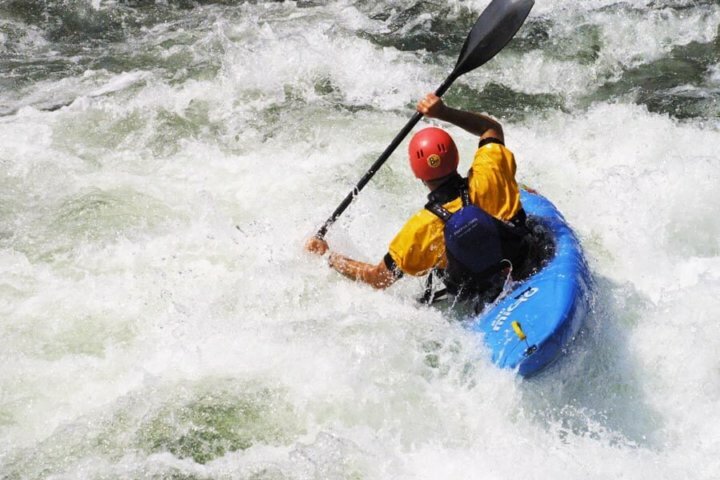 Kayaking is the king of river Sports. 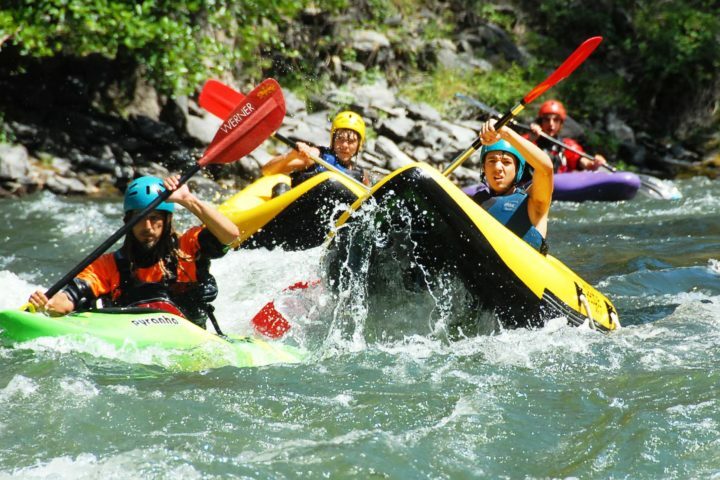 On this section we want to introduce three modalities of white water kayaking. 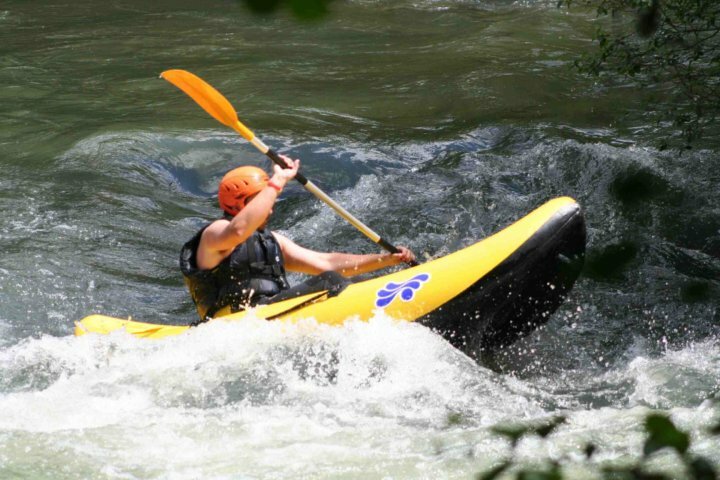 White water Kayaking courses, you can enjoy all the sensations that a white water river offers. This sport covers a huge range of different disciplines including exploring inland waterways, surfing breaking waves, sprints, time trials, performing acrobatics and white water rodeo. Once you have learnt the basics of this great watersport, then is time to improving the individual techniques. 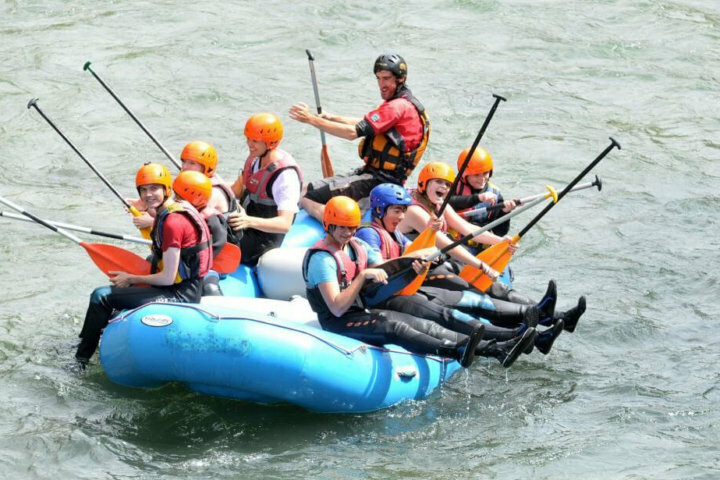 This great experience includes tuition from our guides who will provide an insight into the world of kayaking. and Intermediate Programmes:3 session courses and 2 days skill development. Do you need to hire a kayak??? 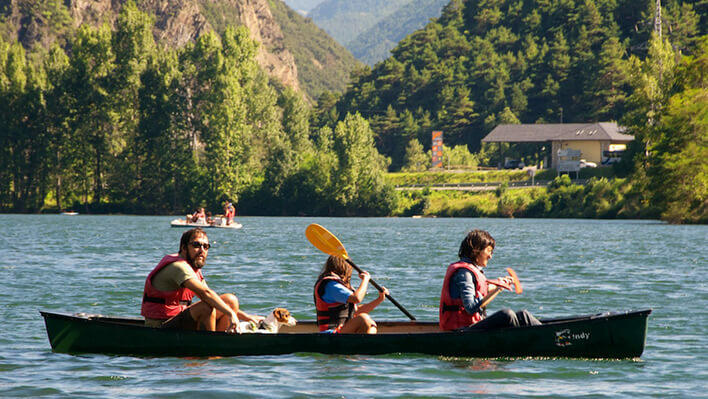 If you have already experience in paddling, in some locations we can offer you to rent a kayak, or even a river local guide to show you the way. Ask in our Pyrenees location to find the perfect outfit for you. 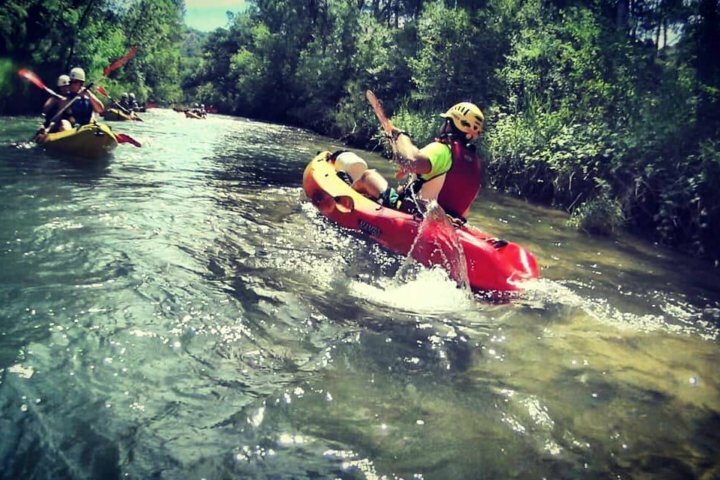 Inflatable canoe or Open-kayak, both options are the ideal step for those want to enter the world of kayaking, and wish to experience the sensations of white water without having to do a course previously. 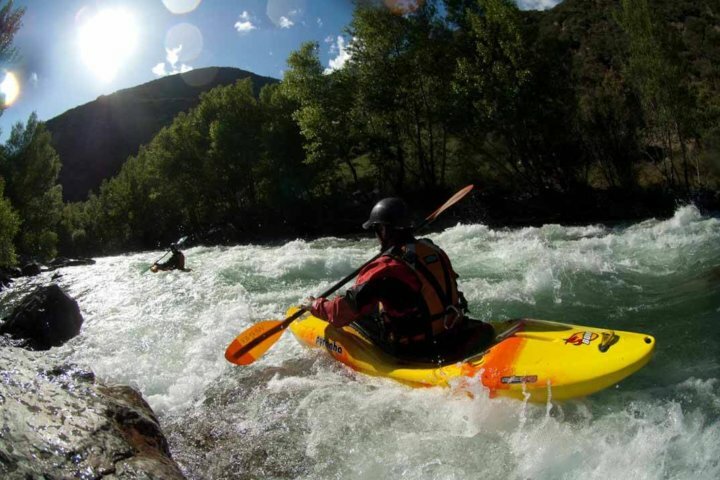 You do not need to be an expert, the open-kayak lets you stop at the banks of the river, surf waves, paddle up-river and acquire a suitable paddling level for kayaking. 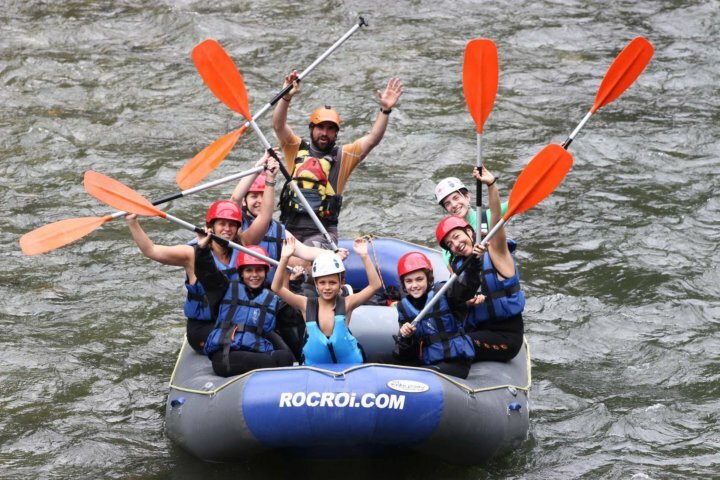 The inflatable canoe, after the instructions from the guide, sets off towards the most powerful rapids of the river. The canoe is monitored all the time by an instructor guiding alongside in a kayak. 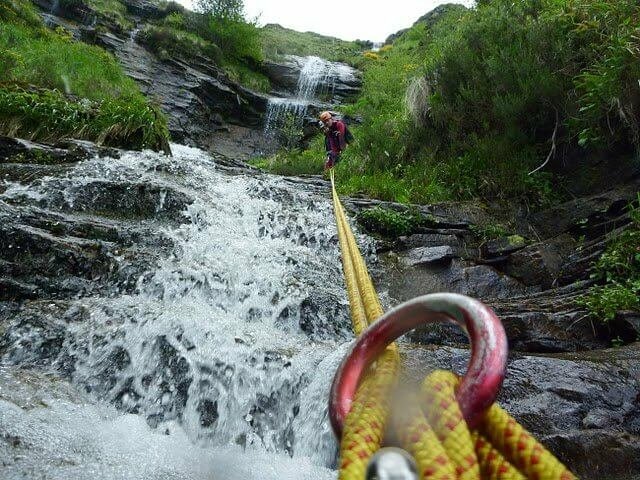 With this type of descent it's possible to discover beautiful spots on the river whilst enjoying white water to the extreme, without being an expert paddler. For each activity it's necessary known how to swim. You will need to bring: your swimming suit and towel. Easy right? come and try it!